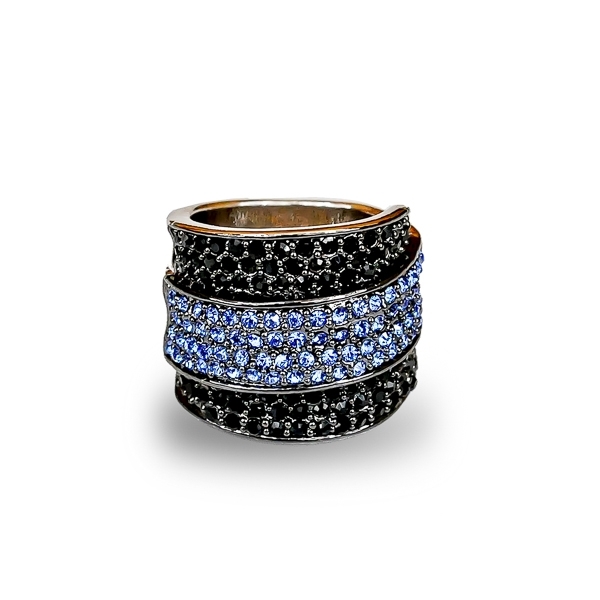 Description: A river made of aqua color crystals runs through a bed of pave jet black crystals in this black rhodium and rhodium plated ring. The beauty is subtle yet catches the eye every time. Material and Measurements: Black Rhodium Plated and Rhodium Plated Base Metal, Crystals - Focal Point 3/4" X 3/4"